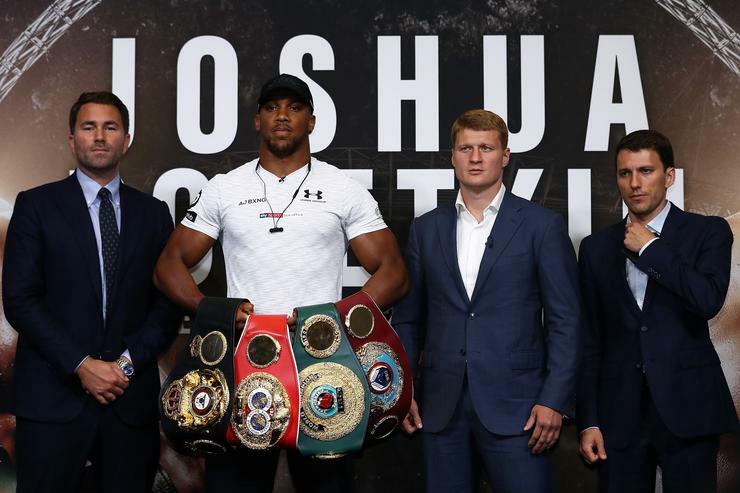 Speaking of “mandatory defenses,” if a proposed super fight with American Deontay Wilder is ever to happen on April 13, Anthony Joshua has to get through Russian challenger Alex Povetkin, a man who has twice been accused of “doping” leading up to fights. Deontay on the other hand, has little impeding his movements towards unification. Dominic Breazeale has called him out, Luis Ortiz even asked for a rematch but neither are go-to options, unless of course a contract is outright signed with Eddie Hearn, Joshua and the rest of Matchroom Sport. Regardless of what transpires between now and then, Eddie Hearn has all but guaranteed a fight between Joshua and Wilder is “100%” happening. It’s not a matter of “if,” but when it happens, provided the April 13 date doesn’t fall through.